Draft: 2011, Houston Astros, 2nd rd. Graduated from Locust Grove (OK) High School, where he also played football and basketball... His cousin, Bob Davis, was a big league catcher from 1973-81 with San Diego (1973, '75-78), Toronto (1979-80) and California (1981)...Enjoys hunting, fishing and video games...follow him on Twitter (@AdrianHouser12). Went 0-0 with a 3.29 ERA in 7 relief appearances with Milwaukee... Had five stints with the team (4/6-4/8, 5/25-5/26, 6/17-6/27, 7/12 and 8/10)... Combined to go 2-4 with a 5.03 ERA in 21 starts between Double-A Biloxi (8gs) and Triple-A Colorado Springs (13gs). Went 3-7 with a 5.25 ERA in 13 starts at Double-A Biloxi...Did not start after 6/23 .....underwent "Tommy John" surgery on his right elbow on 7/21, performed by Dr. William Raasch. Began the season in the Astros organization, where he went 3-4 with a 5.10 ERA in 19 games (13 starts) between Class-A Lancaster (12g/8gs) and Double-A Corpus Christi (7g/5gs)…Was traded to Milwaukee as part of a six-player deal on 7/30…Went 4-1 with a 2.92 ERA in 7 starts at Double-A Biloxi.....threw a shutout in the first round of the Southern League playoffs, earning a 6-0 victory on 9/11 vs. Pensacola (9ip, 3h, 0bb, 10k)…Contract was selected by Milwaukee on 9/22…Made 2 scoreless relief appearances with the Brewers…His Major League debut came on 9/26 at St. Louis (1ip, 1h, 1bb)…His other appearance with Milwaukee came on 10/2 vs. Chicago-NL (1ip, 1bb)…Following the season pitched for the Surprise Saguaros in the Arizona Fall League and went 2-2 with a 3.51 ERA in 7 starts (25.2ip, 26h, 10r, 10er, 10bb, 19k, .271ba). 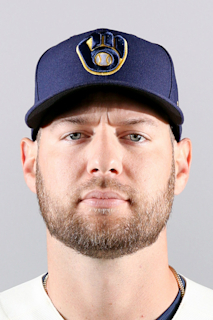 March 18, 2019 Milwaukee Brewers optioned RHP Adrian Houser to San Antonio Missions. October 2, 2018 Milwaukee Brewers recalled RHP Adrian Houser from San Antonio Missions. August 11, 2018 Milwaukee Brewers optioned Adrian Houser to Colorado Springs Sky Sox. August 10, 2018 Milwaukee Brewers recalled Adrian Houser from Colorado Springs Sky Sox. July 13, 2018 Milwaukee Brewers optioned RHP Adrian Houser to Colorado Springs Sky Sox. July 12, 2018 Milwaukee Brewers recalled Adrian Houser from Colorado Springs Sky Sox. June 28, 2018 Milwaukee Brewers optioned RHP Adrian Houser to Colorado Springs Sky Sox. June 17, 2018 Milwaukee Brewers recalled Adrian Houser from Colorado Springs Sky Sox. May 27, 2018 Milwaukee Brewers optioned RHP Adrian Houser to Colorado Springs Sky Sox. May 25, 2018 Milwaukee Brewers recalled Adrian Houser from Biloxi Shuckers. April 9, 2018 Milwaukee Brewers optioned RHP Adrian Houser to Biloxi Shuckers. April 6, 2018 Milwaukee Brewers recalled Adrian Houser from Biloxi Shuckers. March 14, 2018 Milwaukee Brewers optioned RHP Adrian Houser to Biloxi Shuckers. October 10, 2017 RHP Adrian Houser assigned to Salt River Rafters. October 2, 2017 Milwaukee Brewers recalled Adrian Houser from Wisconsin Timber Rattlers. August 24, 2017 RHP Adrian Houser assigned to Wisconsin Timber Rattlers from Biloxi Shuckers. July 25, 2017 Biloxi Shuckers sent RHP Adrian Houser on a rehab assignment to AZL Brewers. April 6, 2017 Biloxi Shuckers placed RHP Adrian Houser on the 7-day disabled list. March 8, 2017 Milwaukee Brewers optioned RHP Adrian Houser to Biloxi Shuckers. October 3, 2016 Milwaukee Brewers recalled Adrian Houser from Biloxi Shuckers. September 30, 2016 Biloxi Shuckers activated RHP Adrian Houser from the 7-day disabled list. July 6, 2016 Biloxi Shuckers placed RHP Adrian Houser on the 7-day disabled list retroactive to July 4, 2016. June 11, 2016 Biloxi Shuckers activated RHP Adrian Houser from the temporarily inactive list. June 6, 2016 Biloxi Shuckers placed RHP Adrian Houser on the temporarily inactive list. March 14, 2016 Milwaukee Brewers optioned RHP Adrian Houser to Biloxi Shuckers. September 22, 2015 Milwaukee Brewers selected the contract of Adrian Houser from Biloxi Shuckers. August 2, 2015 RHP Adrian Houser assigned to Biloxi Shuckers. June 18, 2015 RHP Adrian Houser assigned to Corpus Christi Hooks from Lancaster JetHawks. April 24, 2015 Lancaster JetHawks activated RHP Adrian Houser from the temporarily inactive list. April 19, 2015 Lancaster JetHawks placed RHP Adrian Houser on the temporarily inactive list. April 1, 2015 RHP Adrian Houser assigned to Lancaster JetHawks from Quad Cities River Bandits. April 2, 2014 RHP Adrian Houser assigned to Quad Cities River Bandits from Tri-City ValleyCats. June 17, 2013 RHP Adrian Houser assigned to Tri-City ValleyCats from Greeneville Astros. July 28, 2011 Adrian Houser assigned to Greeneville Astros from GCL Astros. June 17, 2011 Adrian Houser assigned to GCL Astros. June 10, 2011 Houston Astros signed Adrian Houser.